Interesting Article by Lee Schnider in the Journal "Taxation & Regulation of Financial Institutions" where she points out that regulators are effectively focusing on the issues which outsourcing may pose for regulated institutions and their customers. As we know, a lot of Fintech is in effect big ticket outsourcing- where banks and other financial institutions - recognizing either that smoke is coming off their legacy systems, or that they need to acquire new technology to be able to compete for the Millenium Generations dollar, are either outsourcing responsibility for service delivery- (often of business critical functions), or are signing up to utilize and offer new technology on a SaaS basis. Each of these strategies present "Risk + Control" challenges and decisions for management of those institutions. Taking the decision to outsource does require an element of bravery and faith on the part of institutional management. In my experience management instinct to retain control can be hard to overcome. The travails of Ulster Bank- when their ATM System fell over for a time in 2012- still looms large for many institutions when making these decisions. Indeed, a major outsourcing project I was advising a competitor bank on at that time was canned because of the fear which the Ulster Bank experience provoked in the Irish banking community. "The Central Bank of Ireland (the “Central Bank”) has fined Ulster Bank Ireland Limited (the “Firm”) €3,500,000 and reprimanded it in relation to IT and governance failings by the Firm that resulted in approximately 600,000 customers being deprived of essential and basic banking services over a 28 day period during June and July 2012. The fine and reprimand are in addition to a redress scheme required and overseen by the Central Bank under which the Firm has paid approximately €59 million to affected customers. The Central Bank found that the Firm failed to have robust governance arrangements in relation to its IT systems and controls and that, as a result, a major and prolonged IT failure occurred. Alongside causing widespread and significant loss and inconvenience to customers, the IT failure also threatened confidence in the operation of the retail banking sector as it effectively prevented the Firm from participating in the process used to settle payments among banks (“clearing”). These findings have been accepted by the Firm as part of the settlement agreement between the Central Bank and the Firm. " The Ulster Bank fine was followed up in 2014 with a €490,000 fine for FBD Insurance for failing to ensure that regulated activities it outsourced to third party service providers were compliant and remained compliant with the Consumer Protection Code. The reality with outsourcing failure in the Fintech space is that the regulatory fine is just the tip of the iceberg- Financial loss and Reputation damage are the real risks. The solution to the risks and fears outlined above for both the Institutions and the Fintech service suppliers is- wait for it- Me. Fintech Outsourcing absolutely requires expert legal advice. Success or failure- from a financial and a Regulatory perspective- largely stands or falls on the quality of the signed Outsourcing contract. Fintech Outsourcing's must be conducted in compliance with applicable regulation and the Central Banks guidelines- such as the CPC 2012 and the MiFID Regulations. 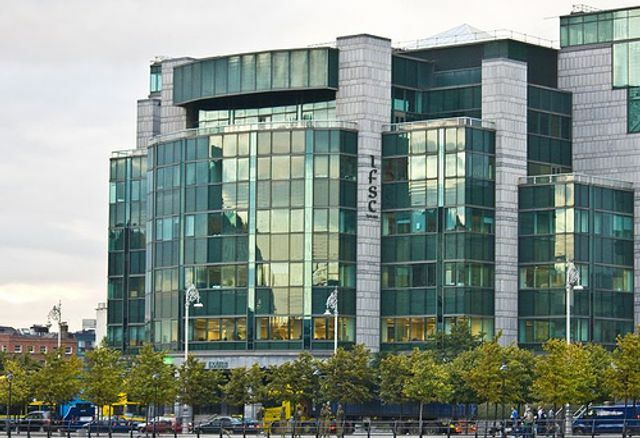 The Irish Central Bank have unequivocally stated that where a regulated entity has outsourced a regulated activity that outsourcing will be strictly monitored by the CB- and regulation will be strictly enforced. For your outsourcing to succeed your contract must provide for proper “resources and procedures, systems and controls” to ensure that regulatory breaches do not occur and to give management of the institutions and of the service providers mechanisms to effectively manage away risk. I have learned a lot about effective and robust Outsourcing during the 18 years (16 years as head of outsourcing in one of Ireland's largest firms) I have been advising banks, financial institutions, card schemes, merchant acquirers, IT Companies, Merchants, aggregators and various others in the Fintech ecosystem. Come and talk to me about that experience and how you can leverage it in a cost effective manner. "FinTech" and "disruption" are surely the buzzwords in financial services for 2016. As financial technology companies proceed to revolutionize the way we bank, borrow, pay, trade, and invest, they should remember that regulators are watching and learning, intent on discharging their multi-faceted mandates. Whether a FinTech company provides financial services to customers directly or assists others in doing so, certain key issues will be priorities for regulators in the coming year. Investors in FinTech also should understand these regulatory hot buttons when considering new investments or evaluating existing holdings. The future may hold really cool prospects for change and innovation, but regulators will seek to ensure that all of it happens under their watchful eye. The authors highlight key regulatory issues for FinTech firms to watch.